Krishna was born to display to the world that ‘Truth always wins over evil’. He came to guide us to fight against sins, to teach, to spread love and to make us believe in the Supreme Power ~ Heavenly Father, Mother, our beloved God ~ to establish firmly within us to surrender on ‘Me’ ~ on to ‘God, Guru and The Divine Mother’. Through his message contained in Gita, He left a lesson for us all, “Brahma Satyam Jagat Mithiya” ~ That what we believe is real ~ this world, is not real ~ To discover “the world within ‘Self’, within everyone, everything”. The message of Gita, is philosophy of life and not the philosophy which is, devout from life? As Swami Vivekananda says it is, “Divinise the life itself’. The message of Krishna through Bhagavad Gita, therefore is, “Divinise the life itself”. This year the birth of Krishna ‘The Janamashtami’ ~ was celebrated on September 2nd, 2018 reminding us of Him, His teachings for one and all, so that we could all, “Divinise our life itself”. Krishna took birth at midnight on the Ashtami (8th day) of the Krishna paksha in the Hindu month of Shravan. The birthday of Krishna is called Janmashtami, an auspicious day celebrated all around the world. Krishna is one of the most revered and popular Indian God, worshipped as the eighth incarnation (avatar) of the Hindu God Vishnu and a great exponent of the Bhagavad Gita. Krishna is worshiped as a God, a leader, a protector, a philosopher, a teacher and a friend all rolled into ‘One Reality’. 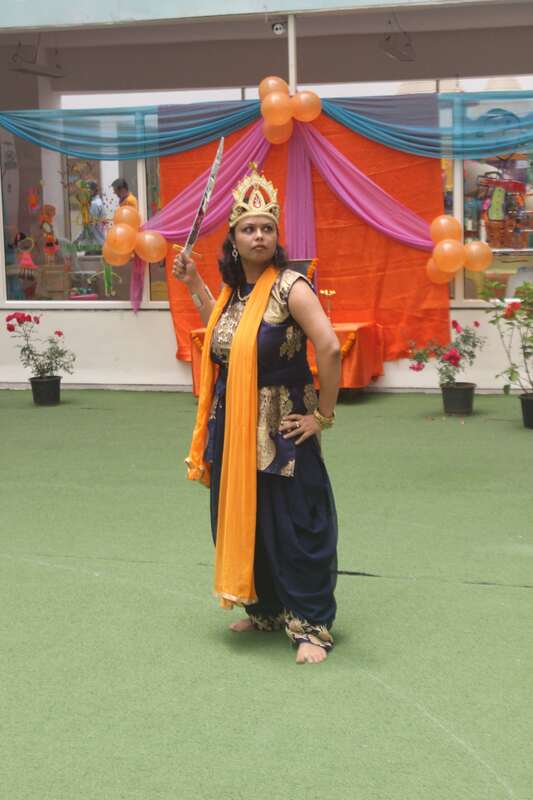 Krishna has influenced the life and culture in myriads of ways. He has influenced not only religion and philosophy, but also literature, painting, sculpture, dance, music, life, strategies to face war or love or maintain harmony and remove all sufferings from life. Who is Krishna in the Bhagavad Gita? Krishna, as per Hindu Mythology, the God himself, becomes the chariot driver for Arjuna, when he sees Arjuna quitting. Krishna persuaded Arjuna, that he should stick to his duty as a warrior and engage the enemy. The Bhagavad Gita is presented as a conversation between Arjuna and Krishna, a man and a God, a seeker and a knower. In our day to day life, God himself is always there, to guide us, to protect us, to help us; only we have to surrender to Him unconditionally and trust Him? What is the message of the Bhagavad Gita? Bhagavad-Gita blesses us with the message, “Express the Divinity from within”. Do it by Raja Yoga, Bhakti Yoga, Karma Yoga or Gyana Yoga.” That the purpose of being born as a human being is to realize that supreme power within. But the problem is, ‘where is the time?’ No one seems to have the time, except for those, who have chosen to become ‘monks’ or the ‘priests’ in the temple! Swami Vivekananda says, “He who runs away from the samsara, spends time in the caves of the Himalayas to meditate and die, has missed the way. He who plunges headlong in to the vanities and foolishness of life in the samsara, lives, earns to make ends meet or flourish, also has missed the way. So, then what is the way? The message of Gita, is philosophy of life and not the philosophy which is, devout from life? As Swami Vivekananda says it is, “Divinise the life itself’. To see God in everything. Wherever we are, whatever we do, to see God in everything. Gita means words of God or spirit, the divine communication of truth between man and the creator, learning to come closer to and talk to God, like you do, to your mother or father? The action which is divinely directed, which is performed in a state of complete non-attachment, without attraction or repulsion and without desiring the fruits of action, is said to be sattvic. As per Bhagwat Gita Chapter IX, Verse 17, Page 758, “God is the one friend of man”. He is the one consciousness that creates, preserves, dissolves and witnesses all creation. The devotee, thus merging, attains self-realization. When one wave, of the ocean, asks the other wave, do you know you will not be a wave when you reach the shore. The wave comes to know that all waves die, that it too will die. But as God explains it, ‘If you learn to be still and silent, you are no more a wave; that you become the ocean. Then you have the same infinite energy and the power of the Ocean ~ you become the ocean (simply through being ‘still and silent’ (meditation).’ The calm ocean without the waves and the ocean with waves in tumult are one and the same in essence, differing only in appearance. Such is the un-manifested sea of spirit (para brahma) and the manifested sea of spirit are self, the sole reality, differing only in fame. Our students need to realise that, “All power is within you. That no power is outside of you” The same message from Gita is meant for our children, our parents, teachers, you and me. Emphasizing on the role of concentration in our lives. It is mentioned in Bhagwad Gita, when a person by unshakable concentration can visualize any image or object with closed eyes, he gradually learns to do the same with open eyes. Then, by further development of concentration, he can connect with God’s all-powerful consciousness and can materialize his thought into an object, perceived not only by himself but others also. If a student can concentrate, s/he can achieve anything in life. All life time goals, whether material or non-material, become easily attainable. 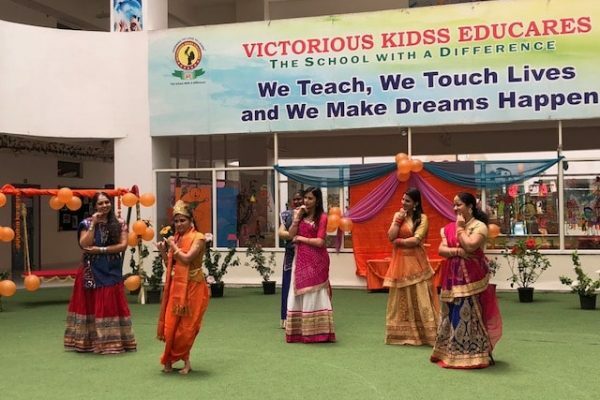 The vision of Victorious Kidss Educares is guided by the quote from Swami Vivekananda, is to awaken that understanding, that realization; discovering that strength ~ knowingness ~ through scientific parenting and through IB coupled schooling with the concept of Vedanta. “Arise, awake and stop not, till the goal is reached”. If we follow Bhagwat Gita as a true seeker, nothing is impossible to achieve. 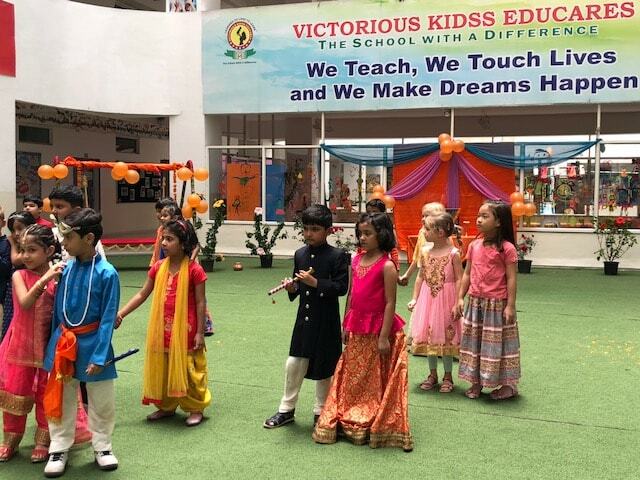 How our school follows Philosophy of Vedanta? 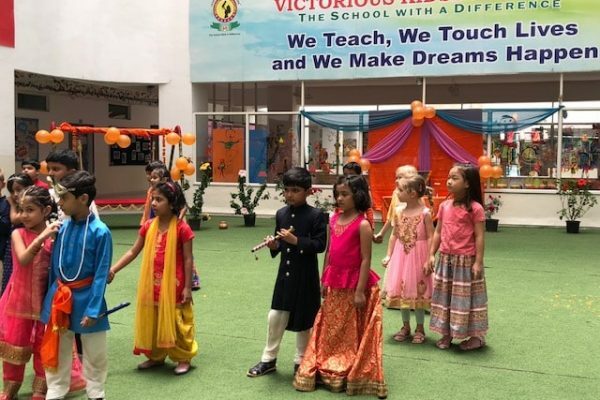 At VKE, we blend all the teachings of the great masters of yester years with the latest of Western Science of ‘Teaching and Learning’ from IB. The deeper and more profound one’s knowledge and wisdom, the higher would be the individual growth. We believe, “Deeper the root, taller would be the tree”. 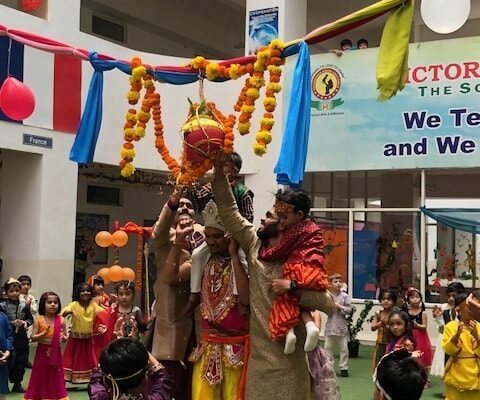 We want our children to be connected to themselves through the latest of Western discoveries while staying connected with the ancient philosophy of Vedanta. We also share with the mothers-to-be, the Abhimanyu concept of Mahabharata. We want our children to grow up with similar unshakeable faith in their own self, believing that they can handle anything, if they set their mind to it and think “They can”. With a divine presence and mischievous attributes, Makhanchor Nandlal is one of the most popular Hindu God amongst children. 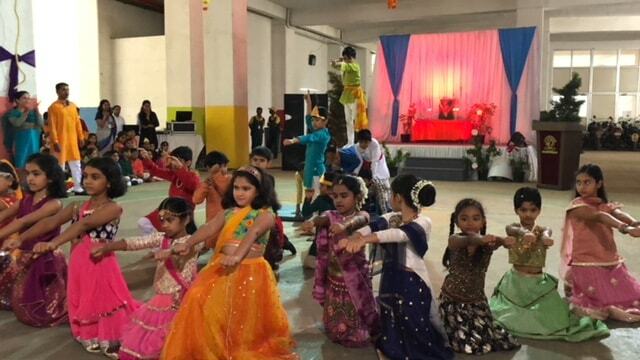 Worshiping of Krishna has now spread world over. 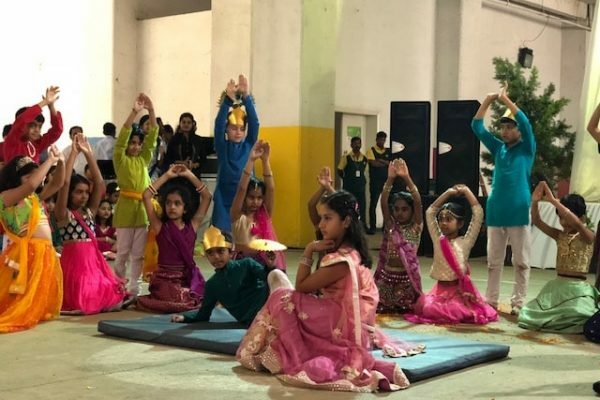 Performing on Krishna’s stories, singing devotional songs, is so much fun for every one and specially kids, because apparently, they align easily, as this God is a child like them? Naturally, that the kids find familiar stories, through which our children find themselves ~ over-enthusiastic to be a part of the celebration. 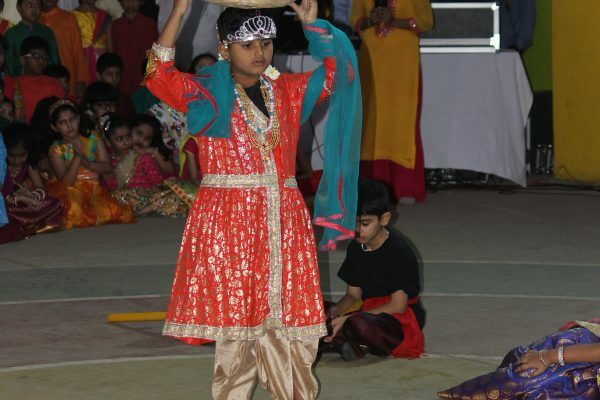 Children of all countries participate as fun without challenging their earlier beliefs, practices or family traditions. 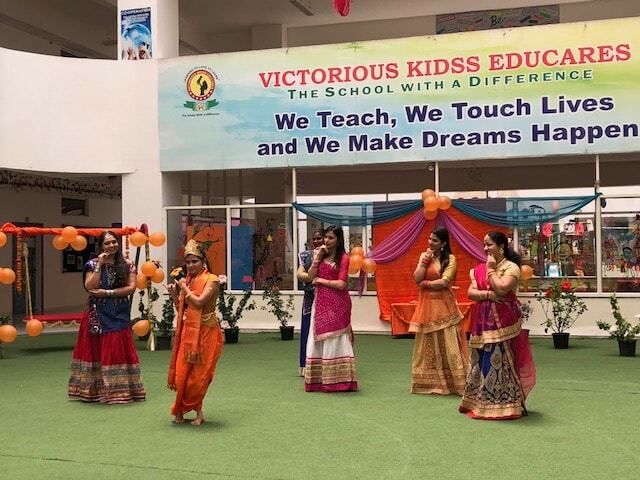 Soaked in spiritual fervour and festive spirit, on Saturday, August 1, 2018, we celebrated Janmashtami, at Victorious Kidss Educares. 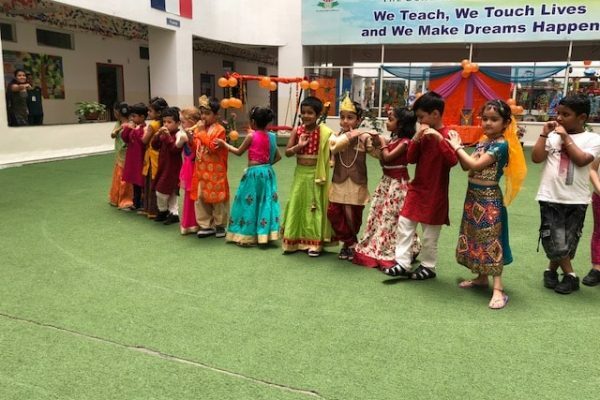 The students of EYP (Early Years Programme) and PYP (Primary Years Programme) came traditionally dressed as pretty Radhas and charming Krishnas. 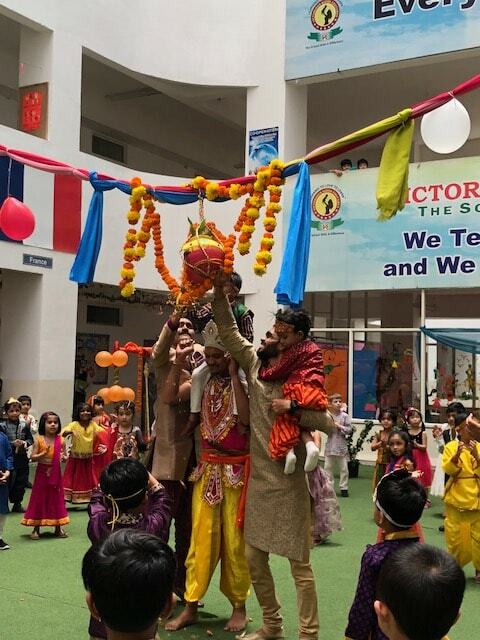 The school area was colourfully decorated with curtains, balloons and plants giving it a glimpse of the Vrindavan gardens. 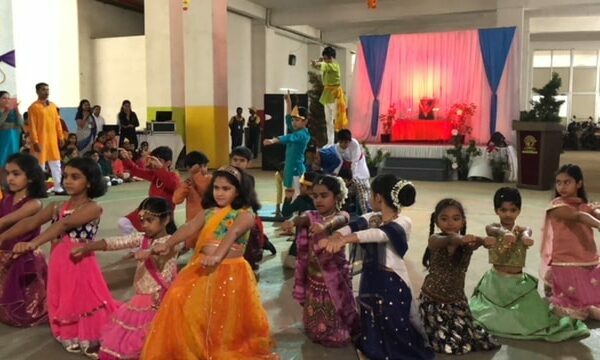 There was a beautiful ‘swing’ put up, depicting ‘saavan ke jhoole’ for our very own Krishnas and Radhas to indulge and feel the ambience in a better way. The programme started with lighting of the Diya, by Sir Robbin Ghosh and Saarada Ma’am. 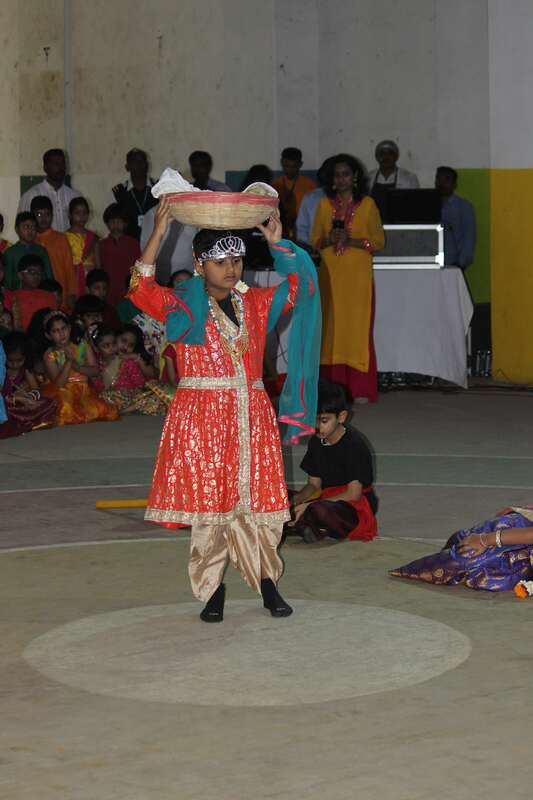 Soon the colours of merriment unfolded and the energetic folks presented a dance showing the love of Gopis for Krishna. 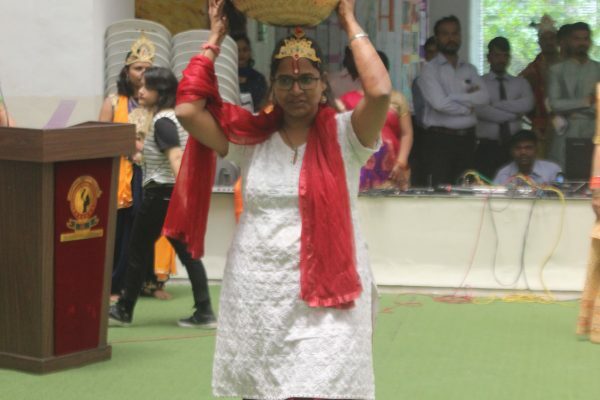 They made spectacular formations depicting the various aspects of Krishna’s life, such as his friendship with Radha, dancing with the Gopis, as saarthi with Arjuna, as sleeping Vishnu pose with Goddess Lakshmi and many more. It was a treat to the eyes. 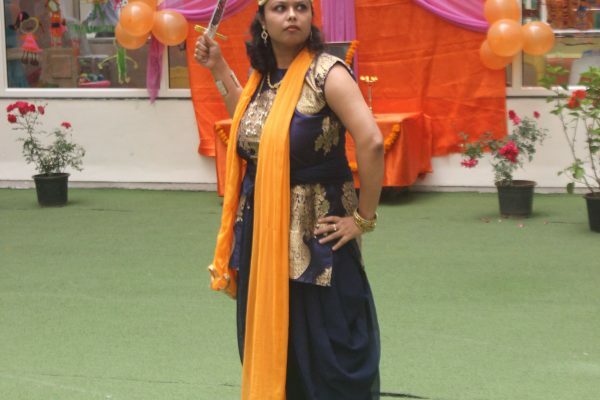 Next in the row, was a short role play portraying the mythological stories on Krishna’s birth, Kansa’s ruthlessness and Krishna’s life in Vrindavan. It seemed like it was brought back to life. 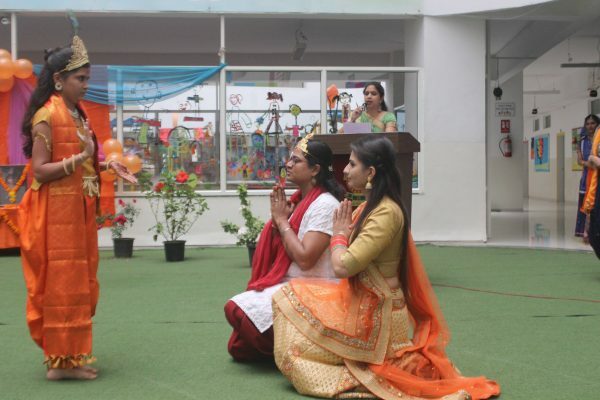 One such powerful play act was performed by the teachers of kindergarten. It was followed by a dance sequence by teachers, showing how everyone devotedly loved Krishna. 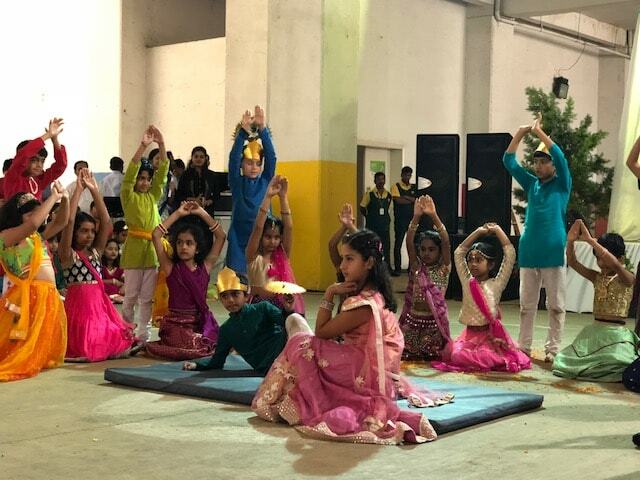 The PYP students showcased a dance performance, which was an enthralling mystique showing Ras-Leela of Krishna with the Gopis, indicating the importance of this occasion. 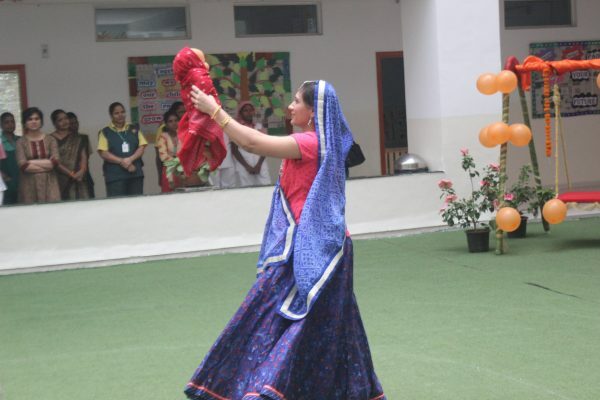 Each student was dancing with joy. 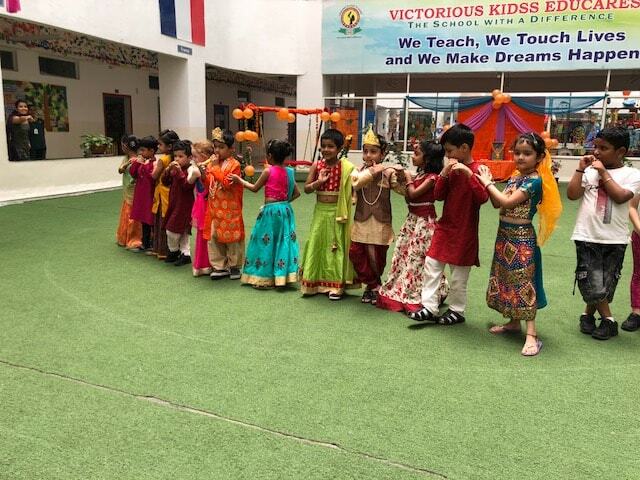 The little champions of Kindergarten sang the melodious, “Ashtakam Keshvan Song”. 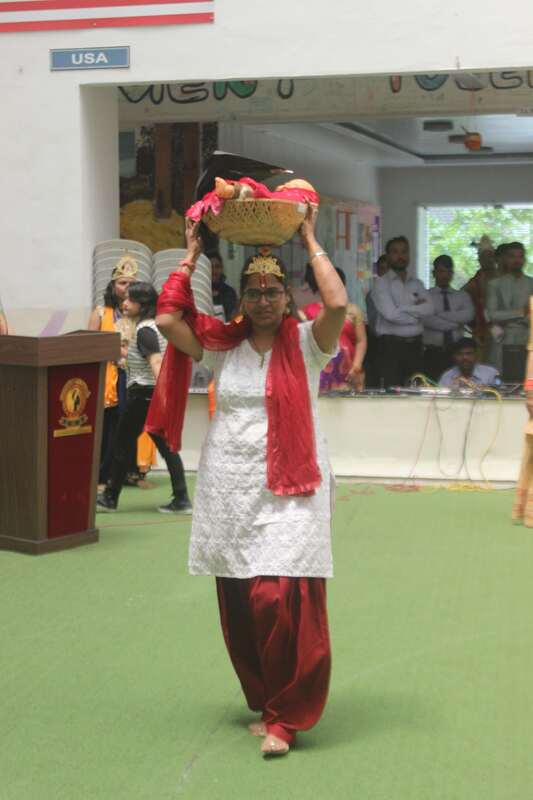 The tiny sparkles of EYP walked on the ramp in their traditional attires with cuteness overloaded. 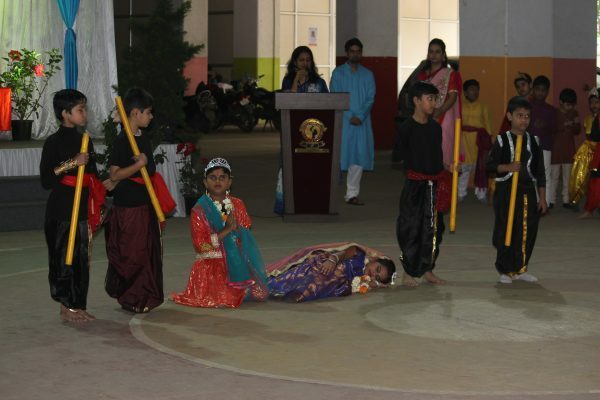 The students were over-excited for the upcoming ‘Dahi Handi’ event. 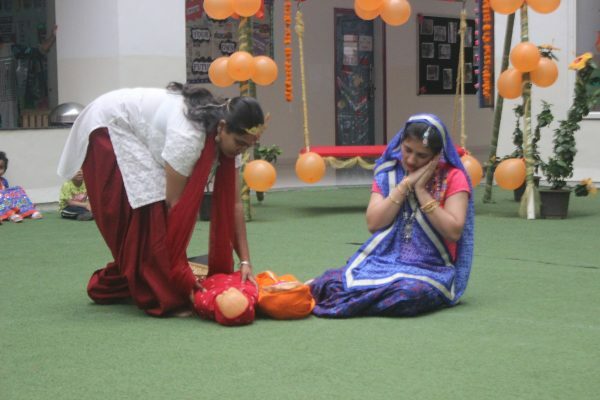 Also, known as ‘Matki Phod’, this event is organized to mark the mischievous nature of ‘Bal Gopal’. When kids make a human pyramid to reach the pot, filled with butter it brings people together, uniting in individual, team goal and faith. Here, the pot symbolizes the human ego and mind, which is held back by ropes of this world. Lord Krishna breaks the pot and releases the content from the world. In this way, he reveals the real joy of life, introducing one to the true self. He displays, “Divinise our life itself”.